Below you fill find all funeral homes and cemeteries in or near Spring Lake. 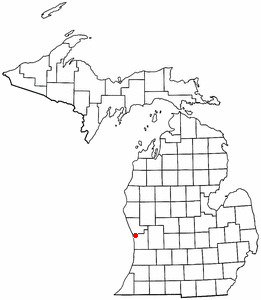 Spring Lake is also known as: Ottawa County / Spring Lake village. Zip codes in the city: 49456. Some of the notable people born here have been: Jack Sprague (race car driver). Spring Lake is a village in Ottawa County in the U.S. state of Michigan. The population was 2,323 at the 2010 census. The village is located within Spring Lake Township. It was revealed by Kalamazoo Gazette on February 7th, 2018 that Susan Bork (Kemple) passed away in Spring Lake, Michigan. Ms. Bork was 67 years old. Send flowers to express your sorrow and honor Susan's life. It was noted by Kalamazoo Gazette on December 19th, 2017 that Robert J Sr Ruster died in Spring Lake, Michigan. Ruster was 76 years old. Send flowers to express your sorrow and honor Robert J Sr's life. It was noted by Kalamazoo Gazette on December 16th, 2017 that Jeanne Avis Farrer (Lahti) passed away in Spring Lake, Michigan. Send flowers to express your sympathy and honor Jeanne Avis's life. It was written on June 30th, 2017 that Simon Unkovskoy passed on in Spring Lake, Michigan. Unkovskoy was 82 years old and was born in Munich, . Send flowers to express your sympathy and honor Simon's life. It was noted on January 12th, 2017 that Grace Marie Rex (Mitchell) passed on in DeKalb, Illinois. Ms. Rex was 86 years old and was born in Spring Lake, MI. Send flowers to express your sorrow and honor Grace Marie's life. It was revealed by Flint Journal on October 5th, 2015 that Junior "Woodie" Dales perished in Spring Lake, Michigan. Dales was 91 years old and was born in Grundy, VA. Send flowers to express your sympathy and honor Junior "Woodie"'s life. It was noted by Flint Journal on August 15th, 2015 that Melvin R Howell passed on in Spring Lake, Michigan. Howell was 86 years old. Send flowers to share your condolences and honor Melvin R's life. It was disclosed by Flint Journal on November 17th, 2014 that Michel Hehn passed away in Spring Lake, Michigan. Hehn was 74 years old. Send flowers to express your sympathy and honor Michel's life. It was noted on July 15th, 2014 that Jennie L Lachance (Hucal) passed on in Spring Lake, Michigan. Ms. Lachance was 90 years old and was born in Cumberland, RI. Send flowers to express your sympathy and honor Jennie L's life. It was revealed on May 22nd, 2014 that Harold "Mike" Alfultis passed away in Spring Lake, Michigan. Alfultis was 83 years old. Send flowers to express your sympathy and honor Harold "Mike"'s life. Spring Lake is a village in Ottawa County, Michigan County in the US state of Michigan. The population was 2,514 at the United States Census, 2000 census. The village is located within Spring Lake Township, Michigan Lake Township. . . The official website for the city of Spring Lake is http://www.springlakevillage.org/. funeral homes in Spring Lake, MI on Yahoo! Local Get Ratings & Reviews on funeral homes with Photos, Maps, Driving Directions and more. funeral homes in Spring Lake, MI 49456 on Yahoo! Local Get Ratings & Reviews on funeral homes with Photos, Maps, Driving Directions and more. We work with local florists and flower shops to offer same day delivery. You will find budget sympathy flowers in Spring Lake here. Our funeral flowers are cheap in price but not in value.